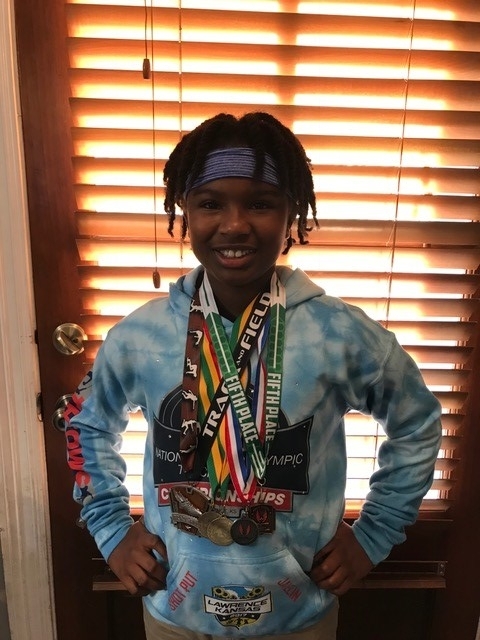 Congratulations to Gabrielle Anthony who participated in the USATF Hearsey National Junior Olympics. This is her 3rd time qualifying for the Junior Olympics. Gabrielle placed 18th in the nation in shot put. She placed 5th in the Regional competition. She also placed 2nd in Javelin in Monroe, Louisiana. We are very proud of her. She is a 5th grade student at Copper Mill Elementary.